For wholesalers’ non-technical workforce including counter staff and warehouse personnel that have little to no knowledge of comfort heating and cooling systems. This E-BOOK Series of 3 detailed guides is a convenient study option to improve customer service skills and basic understanding of products, systems and principles used in modern small heating and cooling systems. Upon completion of each, your staff will be able to communicate confidently about the components of ordinary forced air heating and cooling systems including the functions they perform. 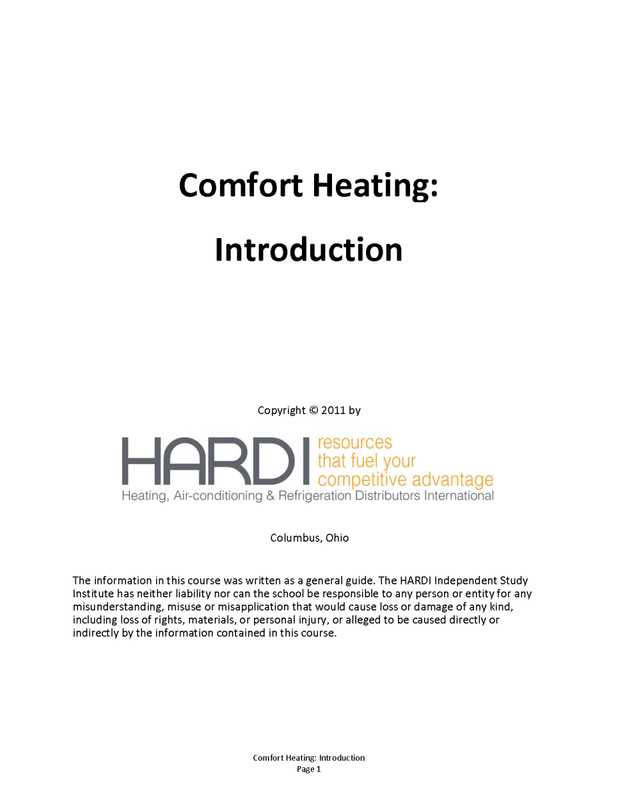 Technical terms, as well as theoretical and practical scenarios, are reviewed to help enhance your staff members comfort level when interacting with HVAC professionals to address factors affecting heating and cooling issues in the housing industry. An overview of residential/light commercial heating. Learn to identify components in a heating system and understand their function. This guide also discusses the construction and climatic factors that affect building heat loss. Click the image to see the course content. An overview of residential/light commercial cooling. 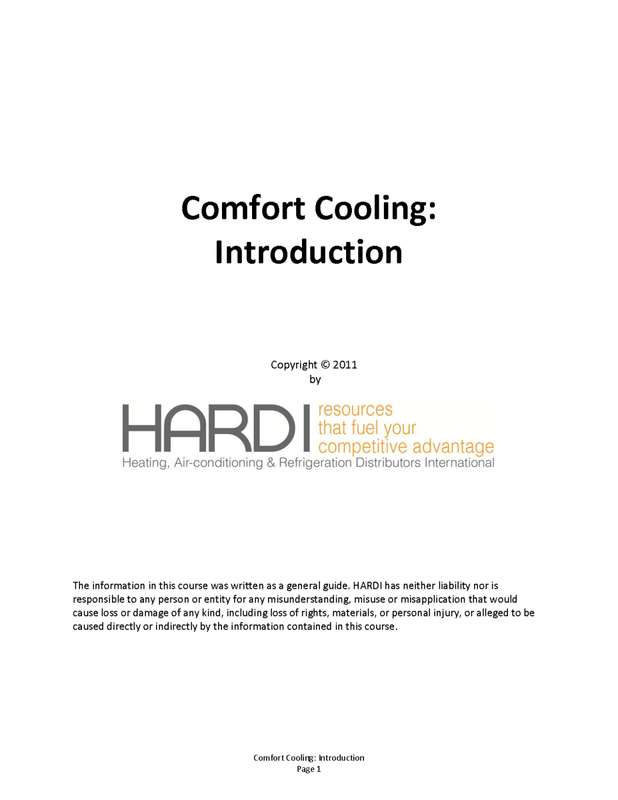 Discusses basic cooling concepts and operating principles. It includes an overview of heat gain, controls and duct systems as a prelude to more detailed study. 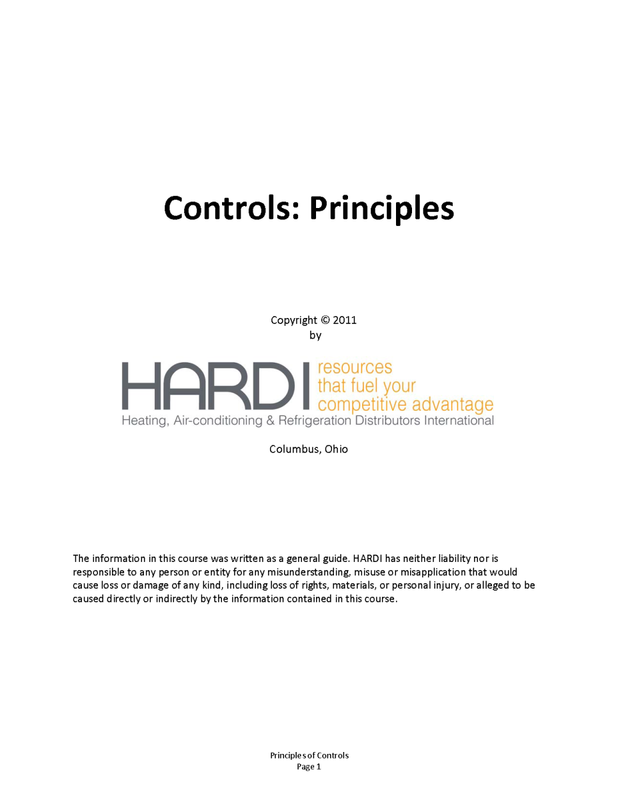 Learn how controls work and how to troubleshoot heating and cooling control problems. Fundamental knowledge of electricity assumed, and a first chapter review provided.